Before founding PointGrow, Felipe completed a successful 24 years tenure at Microsoft as a Senior Executive. His impressive General Management expertise isn't limited to the work he did for Microsoft in United States; he was the GM in Colombia and also led Microsoft in opening new markets while working in Africa and Middle Eastern regions. He also worked as the GM in Mexico for 11 years – one of the longest tenures held by any MS Executive. In his last assignment, Felipe was World Wide General Manager for the Windows and Office retail business. In addition to his work at PointGrow, Felipe is an active entrepreneur and investor. 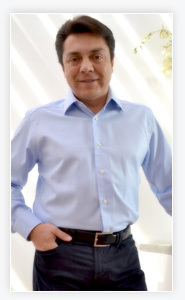 He also serves on the Board of Aspel de Mexico, the leading ISV ERP Solution for SMB, and as a Business Development Advisor for Hildebrando, a Mexican based IT outsourcing company.